Alright, I’ll admit it. I’m a crafting hoarder. You won’t notice it immediately, but if you scout around my room for a bit you’ll start to notice the signs. If you are like me, you’ll understand the physical inability to throw away something because you know it can (possibly) be useful for a future crafting project. This means I end up with a cabinet of empty jars/containers (this could be essential material for the next time I want to make a snowglobes! ), a garbage bag full of scrap fabric (for those times when I want to try out a sowing project), and drawers of trinkets and chains from past projects (funky jewelry, anyone?). This is why I LOVE upcycling! Upcycling is basically taking something old that you might throw away, like empty bottles or and old T-shirt, and re-vamping it into something new and cool that you would use. It means I can finally re-use something in my pile of crafting material. It’s like Willy Wonka’s golden ticket for crafting hoarders! Plus it’s a great way to save on money and express your unique style. 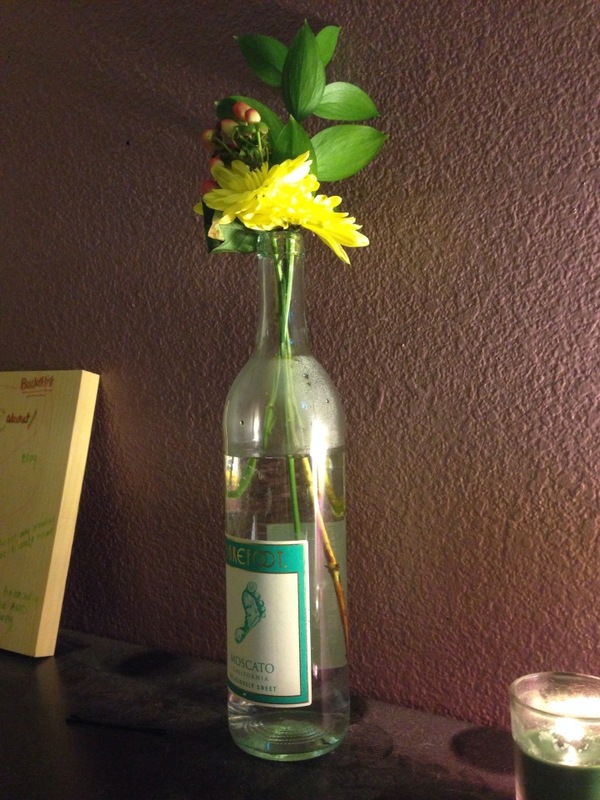 Here is a simple upcycling idea that I’m sure you have seen before: using empty bottles as flower vases. 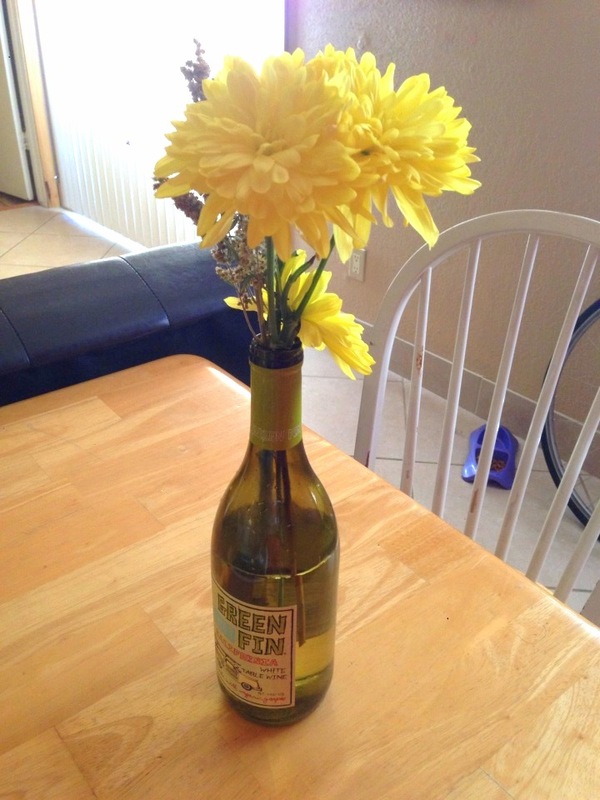 I especially love this idea since I’m cheap and never bother buying vases. I have these all over my house! 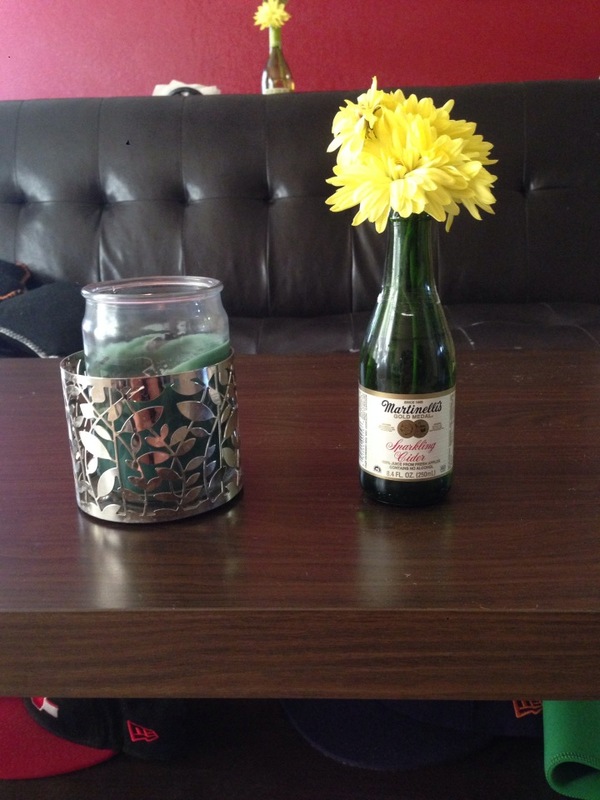 I left the vases as they were, label and all, because I liked the look but you can always decorate and funky-up the bottles.